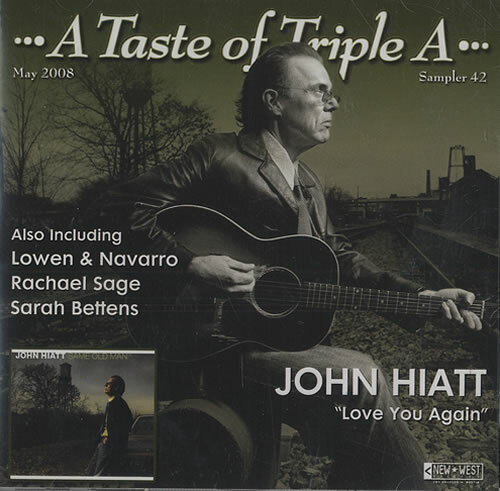 JOHN HIATT/VARIOUS A Taste Of Triple A (2007 US promotional only 36-track 2-CD sampler issued exclusively to radio programmers across America every month showcasing an eclectic mix of new music. Includes the John Hiatt song 'Love You Again' alongwith tracks by Mike Farris, The Dandy Warhols and many more! Custom printed disc's complete with a colour fold-out picture sleeve and back insert).